Nautical Boat Club® at Concord Marina is Knoxville’s first and only Boating Country Club®. 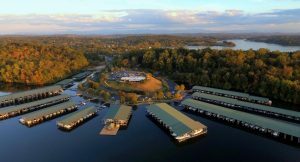 Located on Fort Loudoun Lake, Nautical Boat Club® at Concord opened in April 2017. Our Concord members enjoy unlimited year-round use of a fleet of 11 new, fully outfitted watercraft, as well as complimentary use of all water toys, free guest privileges, insurance, maintenance, premium dockside valet service, free parking and more – all at one-third the cost of boat ownership! So don’t buy or rent a boat, come feel the freedom of a boat club membership at Nautical Boat Club® at Concord Marina, your Knoxville boat club on Lake Loudoun! Competition Wakeboard Boats – Ready for action? Our wakeboard boats ride smooth, turn tight and make huge wakes – tow-tally awesome for whoever wants to ride behind! Factory-installed ballast systems mean wave control at the touch of a button – super-simple wave customization for surfers, skaters or wakeboarders! Time to load up the toys, crank up the tunes and hit the lake! Sportboats – With terrific all-around performance, our sport boats are perfect for almost any activity – from sunning and swimming to wakeboarding and skiing – and provide plenty of room for family and friends to come along for the smooooth ride! Tri-Toon & Double-Decker Party Boats – Tri-Toon and double-decker pontoon boats [with water slide!] are a great, safe way for up to 13 people to spend a fun day out on the water together. Our tri-toons are ideal for an active afternoon of watersports, or just coolly cruising the lake. Fishing & Pet-Friendly Boats too!